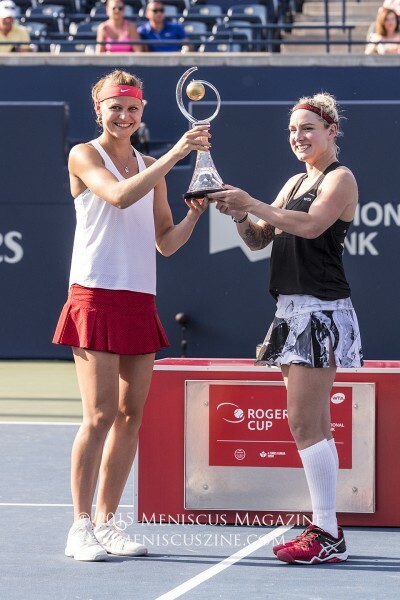 August 16, 2015, Toronto, Canada – After defeating Sara Errani of Italy in the semifinals, the second-ranked Romanian, Simona Halep, perhaps thinking ahead to a potential meeting with Serena Williams in the finals, declared that she had played her final already. 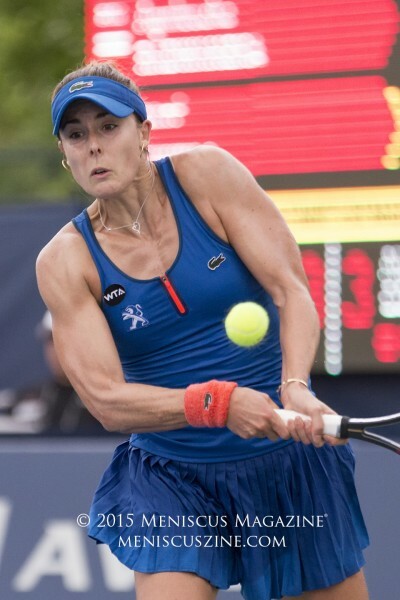 (Her record against Williams since 2011 is 1-5.) 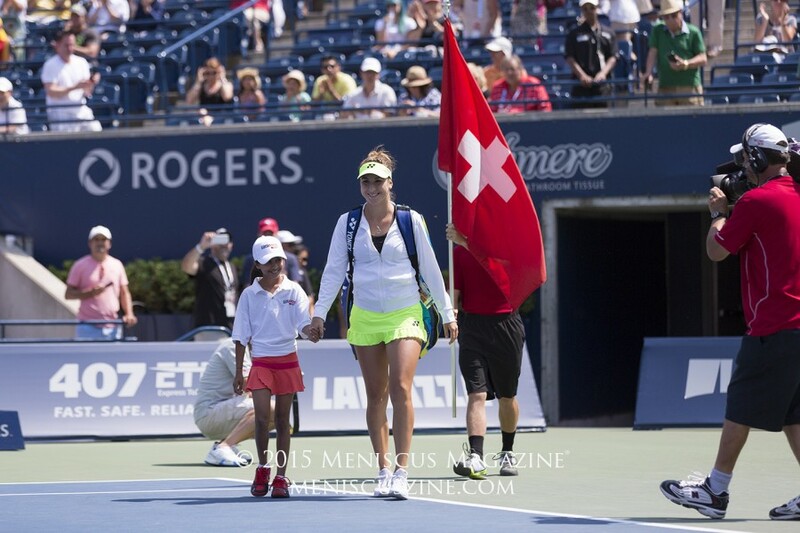 Instead, Halep was to meet an unlikely opponent, the 18-year old Belinda Bencic from Switzerland, in her first Rogers Cup appearance. The match started rather inauspiciously. Both players played tenuously as if they are waiting for each other to make a move. Neither one attempted to dominate the other. There were no devil may care attitude. There was no playing with the house money attitude. 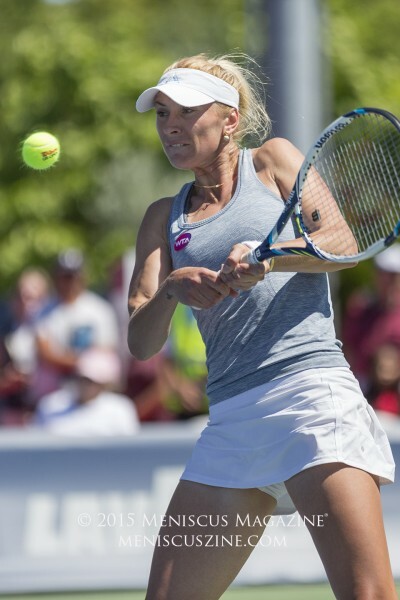 The first set began with five straight service breaks or six breaks in the first eight games. 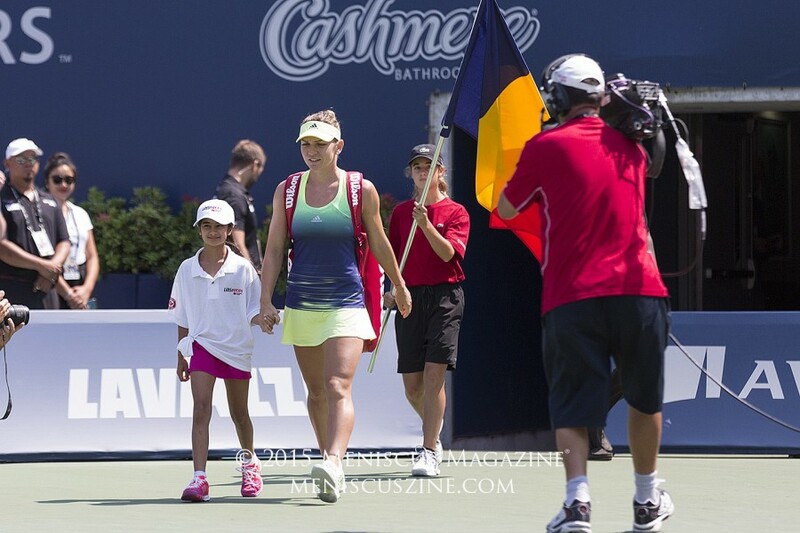 At 6-5, the match turned from bad to worse as Halep requested medical attention. 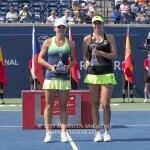 “In the first set, I felt a little bit of muscle and then it was going to the knee,” she said later. 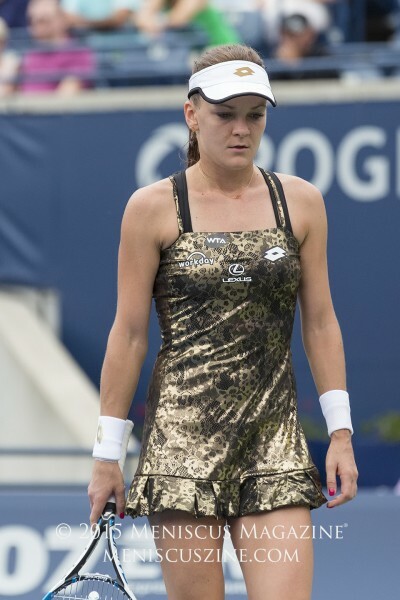 With that sudden turn of events, Halep lost the first set in a tiebreak. 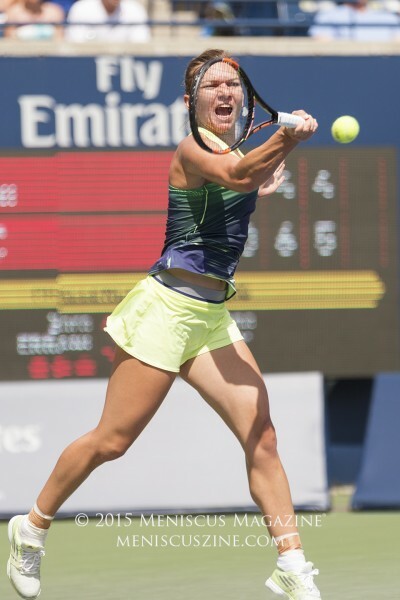 Indeed, Halep was down 3-5, having been broken by Bencic three times already. 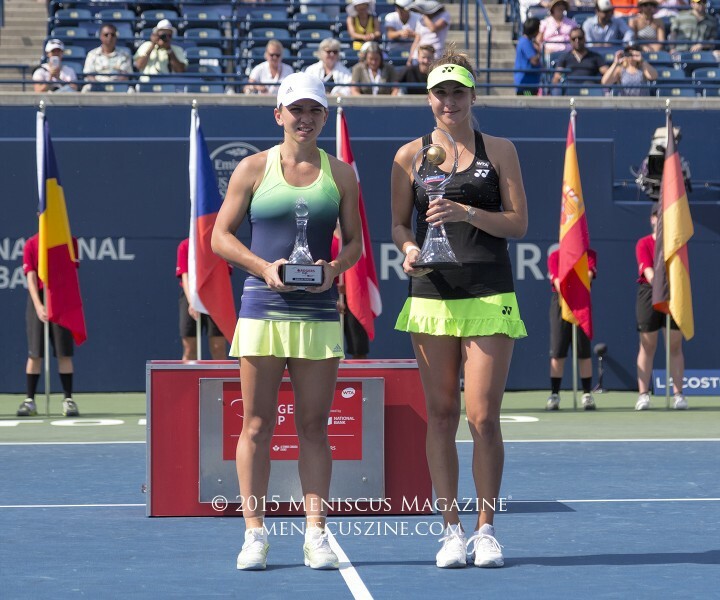 As Bencic served for the championship, Halep, somehow, managed to fight her way back and won the second set in a tiebreak. 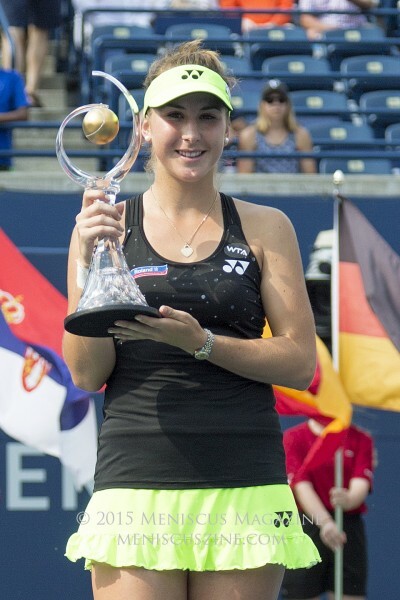 Thus, the 18-year old Belinda Bencic, in her first appearance in the Rogers Cup, became the 2015 winner by defeating Simona Halep 7-6 (5), 6-7 (4), 3-0 (ret.) in two hours and 30 minutes. 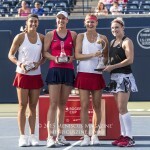 The victory capped off an impressive week in Toronto, where the Swiss defeated Eugenie Bouchard, Caroline Wozniacki, Sabine Lisicki, Ana Ivanovic, Williams and Halep en route to the title. 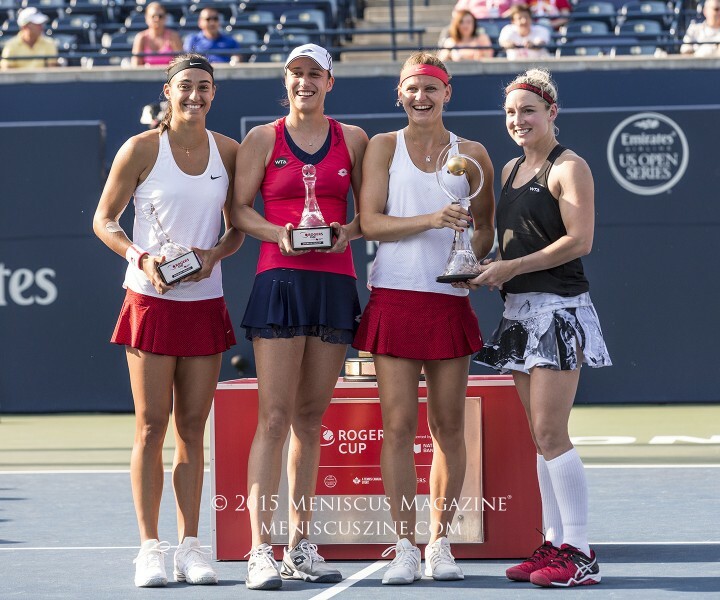 In the women’s doubles final, the third-ranked Bethanis Mattek-Sands (USA) and Lucie Safarova (CZE) defeated fourth-ranked Caroline Garcia (FRA) and Katarina Srebotnik (SLO), 6-1, 6-2. Will Pete Sampras ever become a tennis commentator?